FLUFFIER. TASTIER. BETTER THAN EVER. 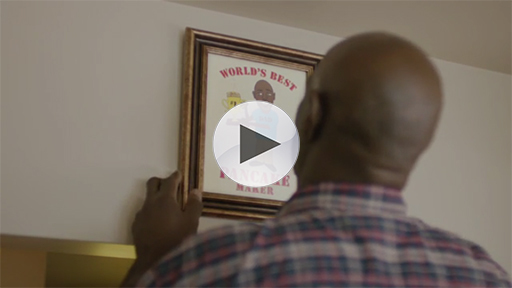 Watch out, Pancake Makers! 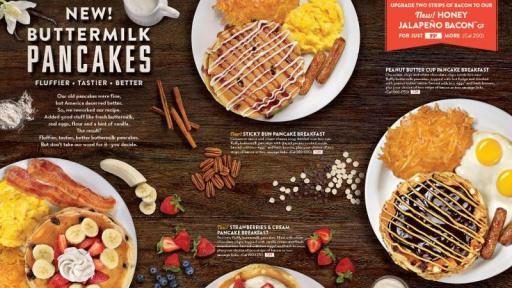 Today, Denny’s announced it is bringing America the pancake it deserves with a delicious, all-new recipe that’s so good, it might even be better than Mom, Dad or Grandma’s classic homemade creations. 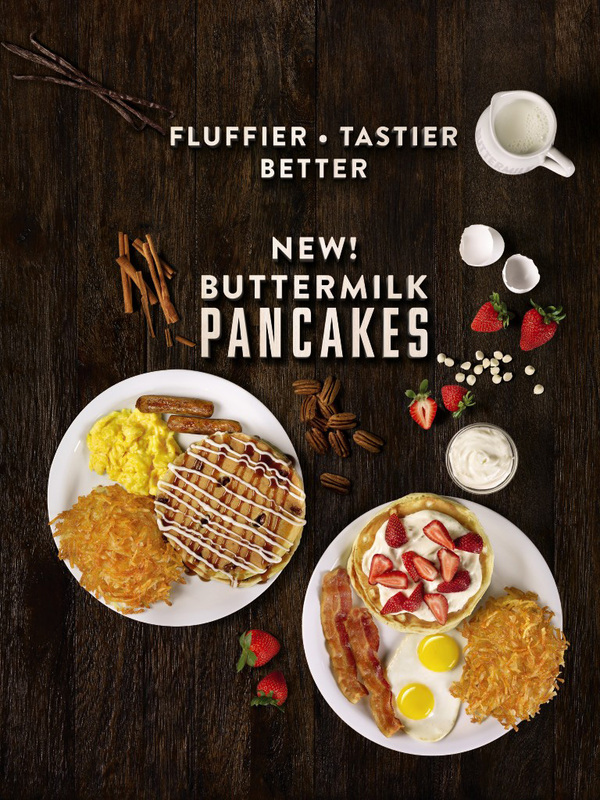 The new Buttermilk Pancakes ‐ transformed with fresh ingredients such as real eggs, fresh buttermilk and a hint of vanilla ‐ are hand-mixed to order and bring distinctive diner flavors with a sweet and fluffy taste set to rival even the greatest ‘cakes throughout the nation. As America’s Diner, pancakes are engrained at the heart of the brand and one of the most popular items on its craveable all-day menu. 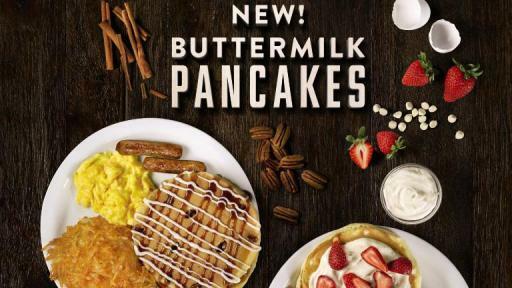 As Denny’s continues its commitment to improving food quality and flavor for a better guest experience, this traditional dish has been completely transformed with pure ingredients and classic flavors for a bigger, better and tastier pancake. The delicious new stacks ‐ with 50 percent more fluffy goodness ‐ are featured throughout the restaurant’s extensive menu options. Four limited-time Signature Builds — the Sticky Bun Pancake Breakfast, Strawberries & Cream Pancake Breakfast, Double Berry Banana Pancake Breakfast and Peanut Butter Cup Pancake Breakfast — offer sweet and savory ways for guests to satisfy their cravings. 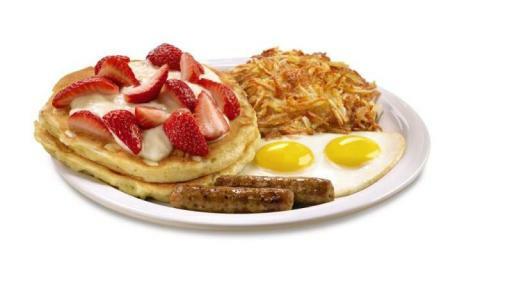 The diner’s younger guests—and toughest pancake critics—will also be able to enjoy junior versions of the ‘cakes with the new select signature dishes available for the first time on Denny’s Kids Menu. 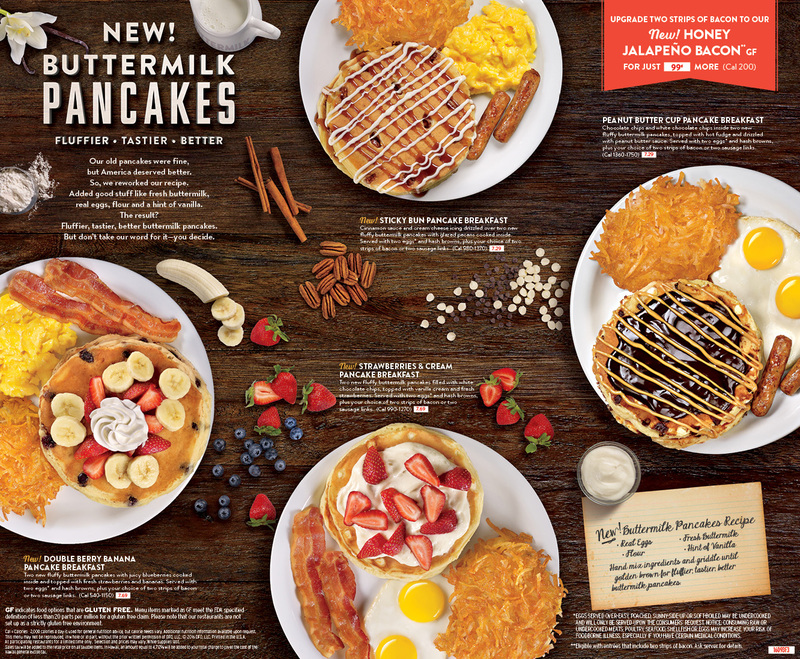 The brand is also bringing America a taste of the new pancakes well beyond its diner walls. Denny’s social and digital channels will be extending the pancake party with custom Snapchat filters, Facebook Live events, YouTube videos and a ‘Pancake Rejection Simulator,’ an interactive application where guests can practice telling loved ones their pancakes are now second best. The diner’s hit animated web series, “The Grand Slams” will also be joining the fun with several special episodes celebrating the gang’s new-and-improved fluffy Pancake character. 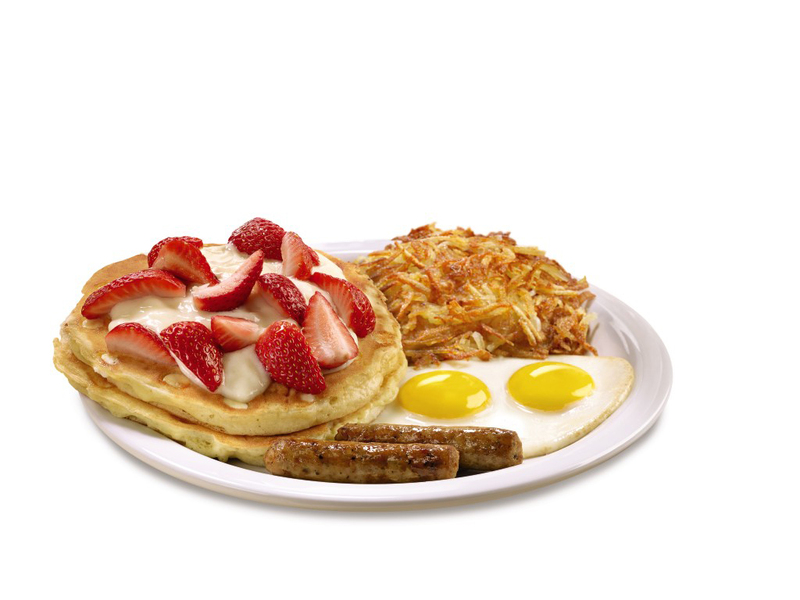 Denny’s new pancakes are available all day, every day at breakfast, lunch, dinner and late-night; for more information or to find a location near you please visit www.dennys.com. Denny's is one of America's largest full-service family restaurant chains, currently operating 1,700 franchised, licensed and company-owned restaurants across the United States, Canada, Costa Rica, Mexico, Honduras, Guam, Curaçao, Puerto Rico, Dominican Republic, El Salvador, Chile, New Zealand and the United Arab Emirates. 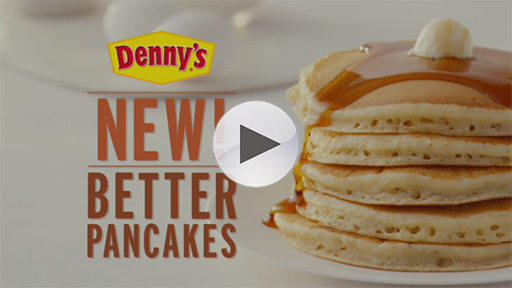 For further information on Denny's, including news releases, please visit the Denny's website at www.dennys.com or the brand’s social channels via Facebook, Twitter, Tumblr, Instagram or YouTube.